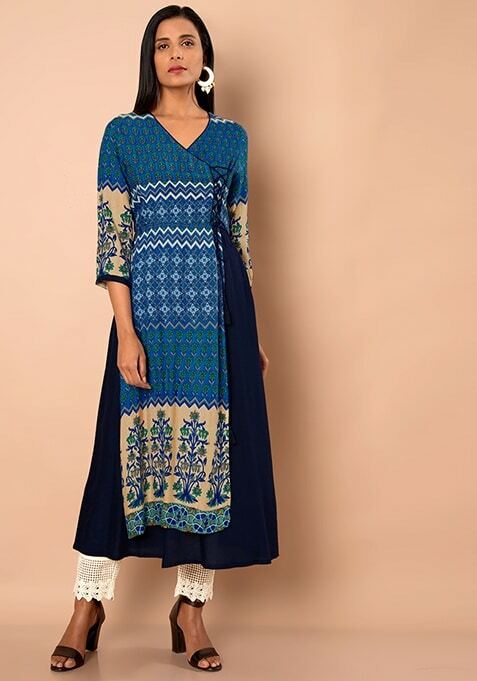 Channel your inner princess with this Angrakha Style Navy Maxi Tunic. Dipped in printed blue hue at top, this royal piece comes in double layer style. Work It - Pair it with a metallic clutch to elevate your look.